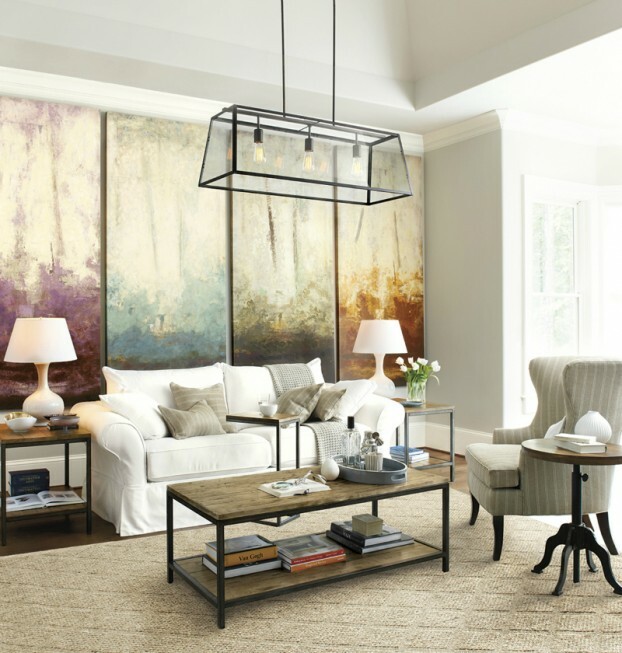 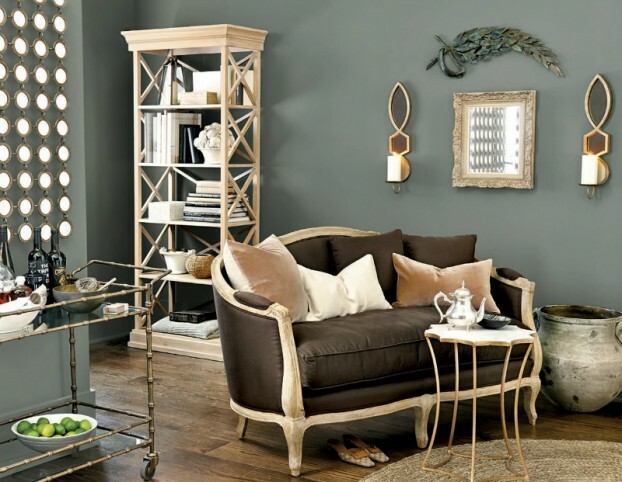 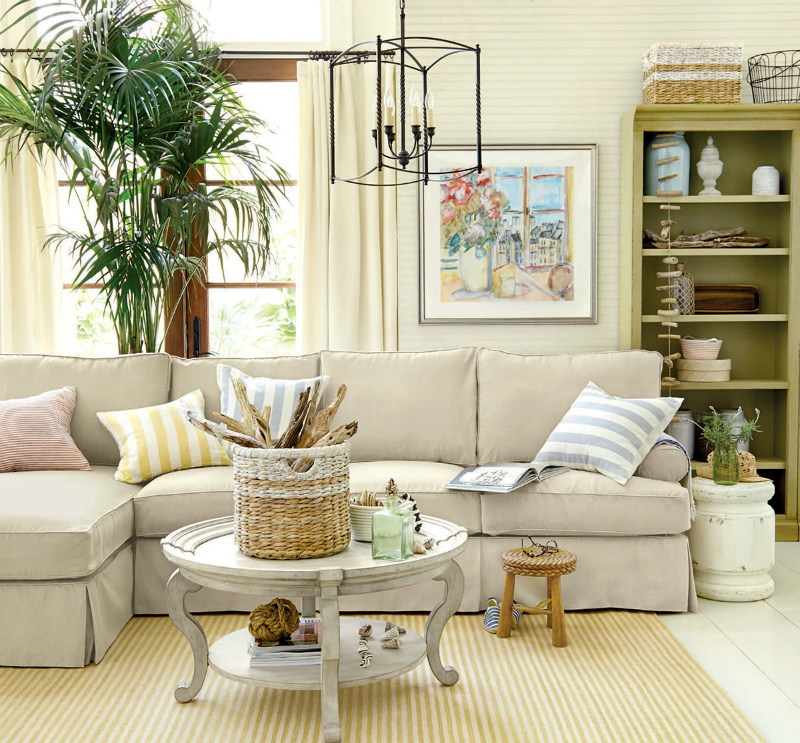 Whether you’re looking to upgrade your living room from shabby to chic or searching for that piece de resistance to finish a new space, take the extra time to find furniture that fits your special needs. 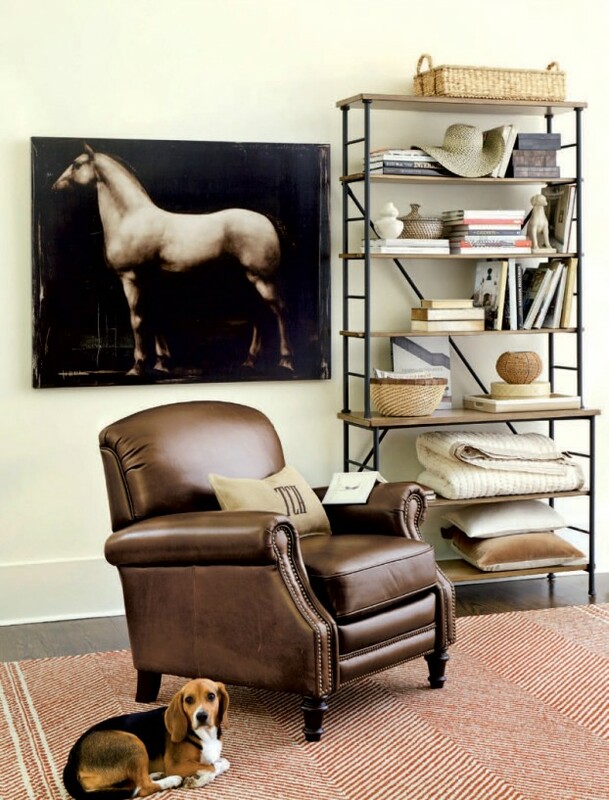 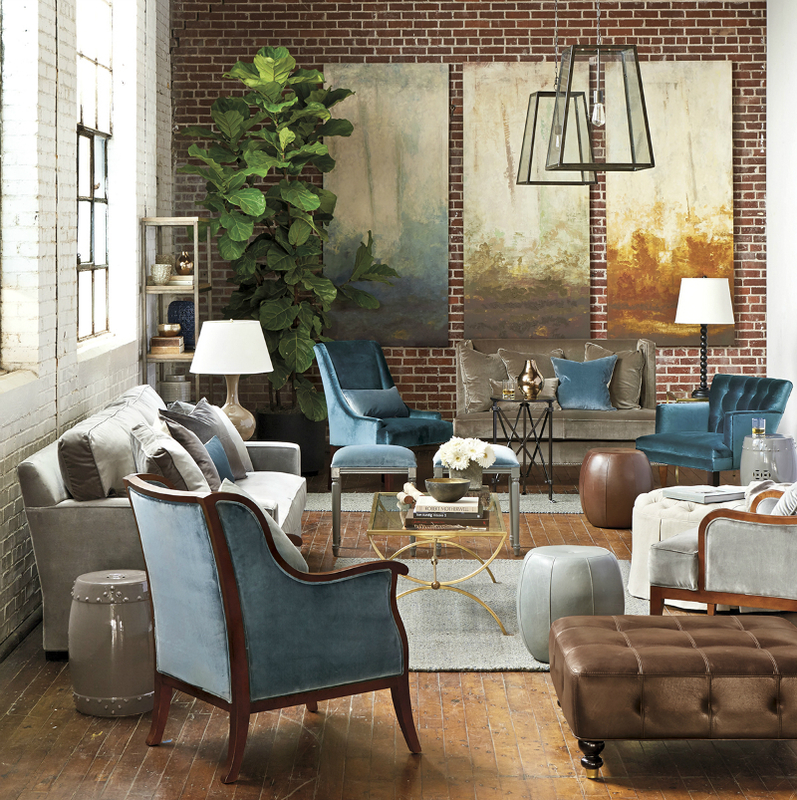 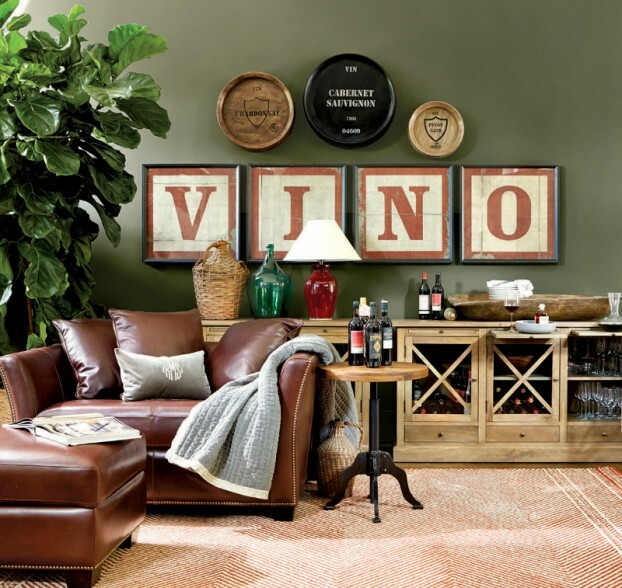 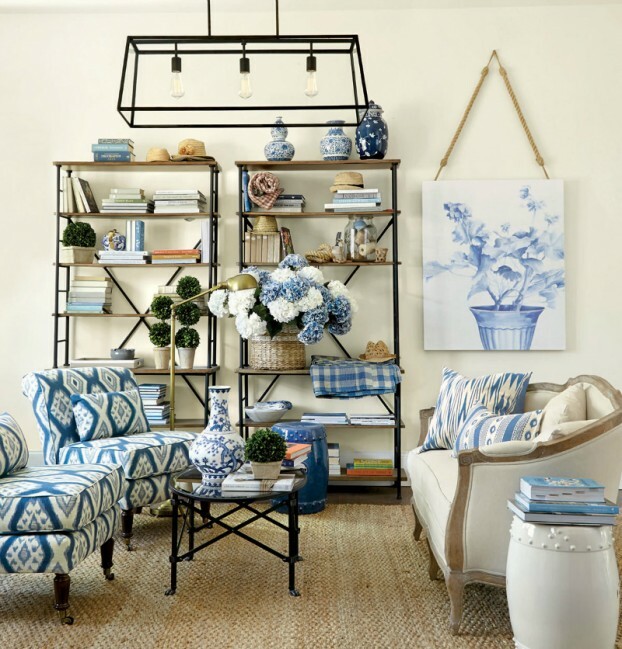 Finding a fabulous piece of upholstered furniture, whether it’s a sofa, chair, or ottoman, requires more than spending a few minutes with it in a store — no matter how far you’ve fallen in love. 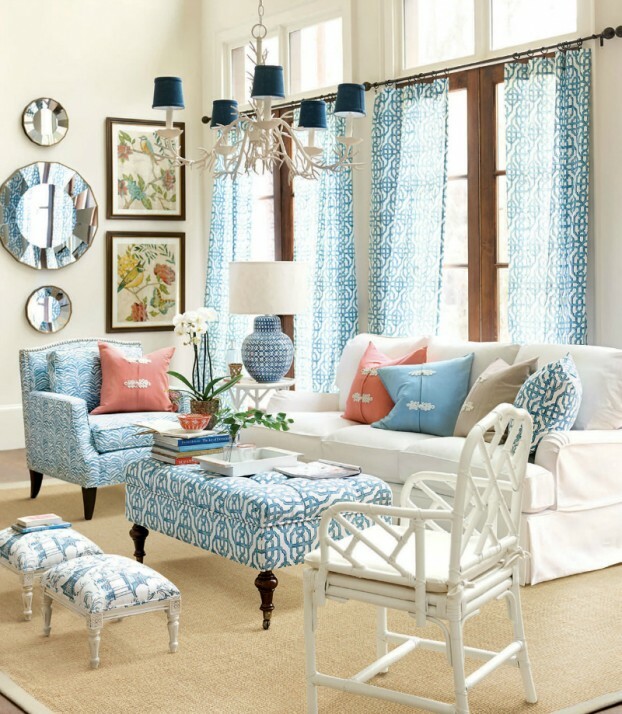 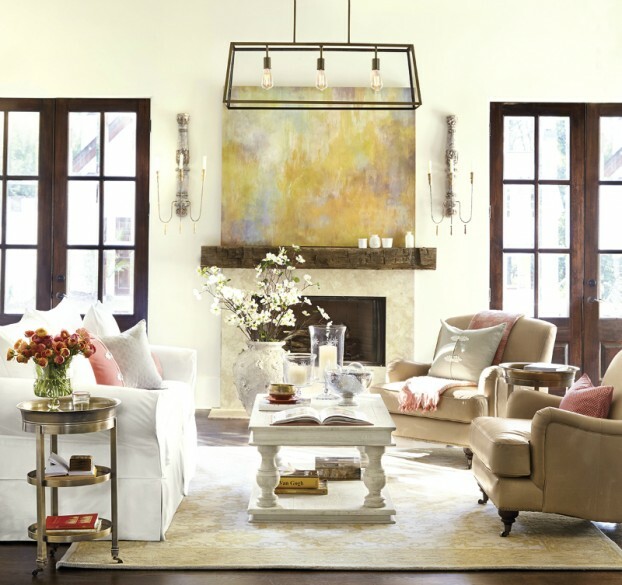 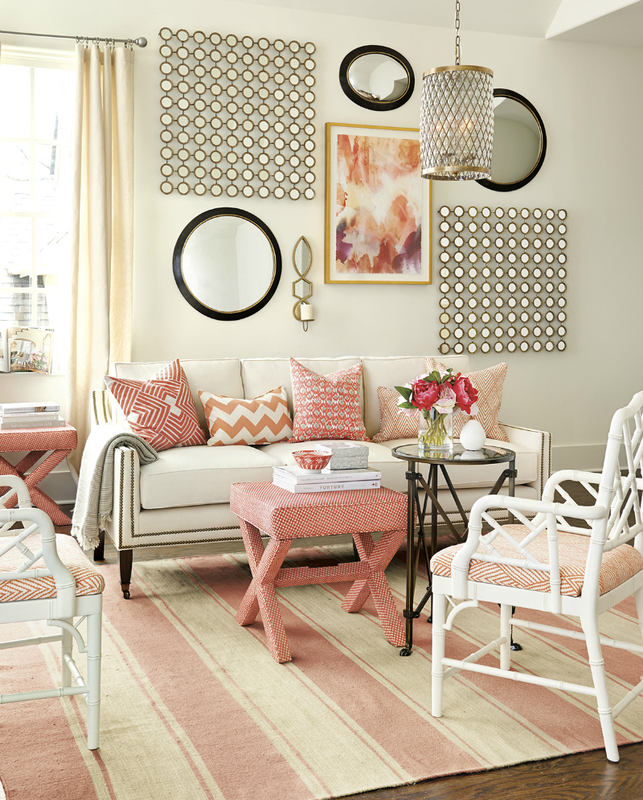 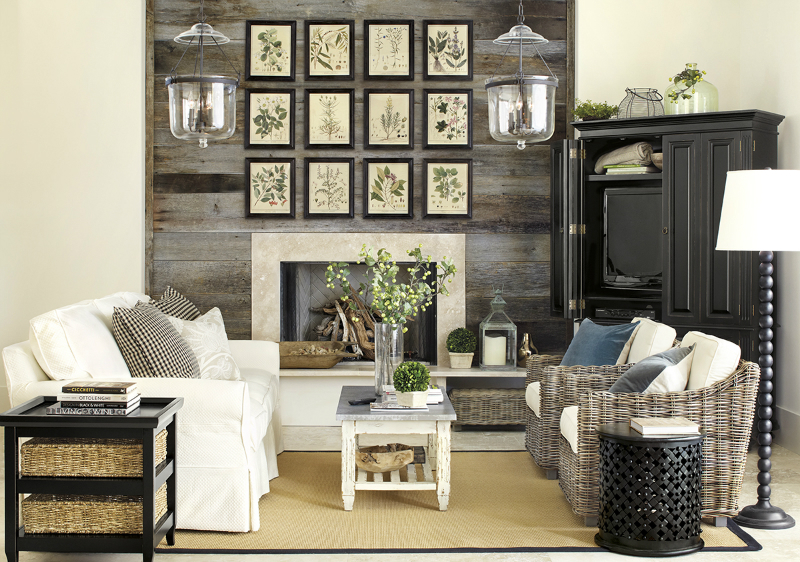 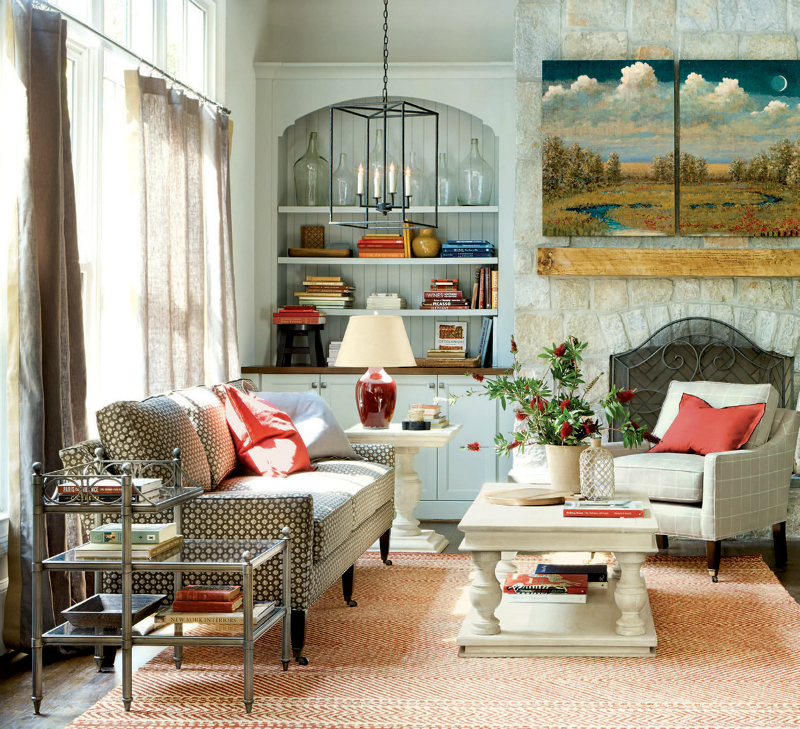 So before you go shopping, take a look at these 36 great living room ideas by Ballard Designs. 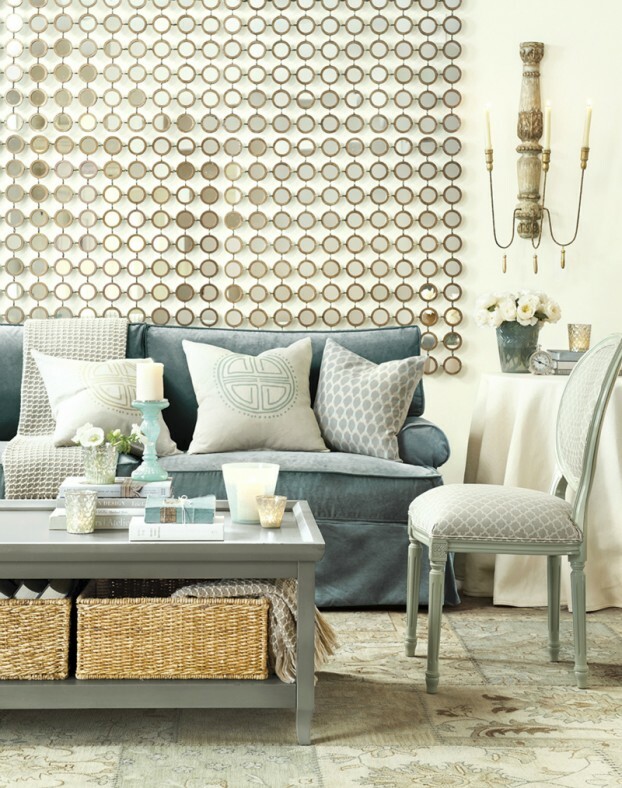 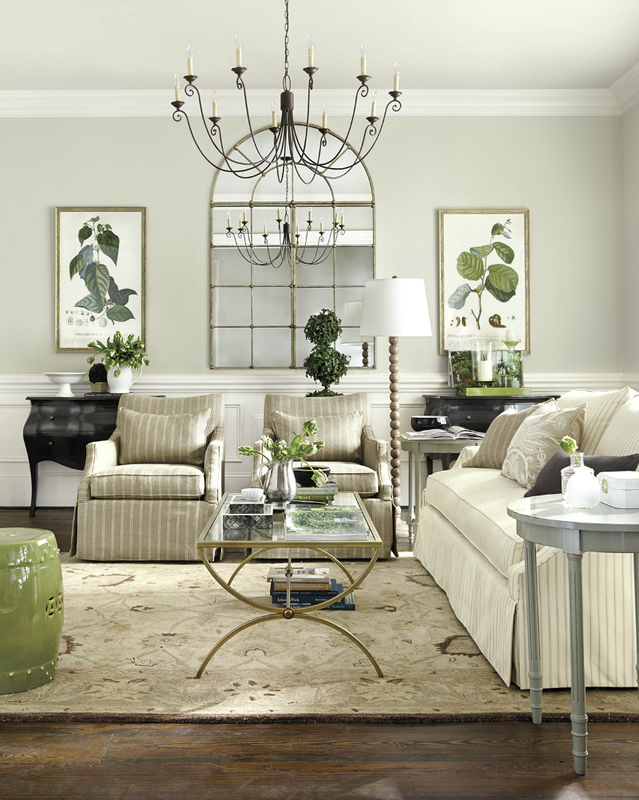 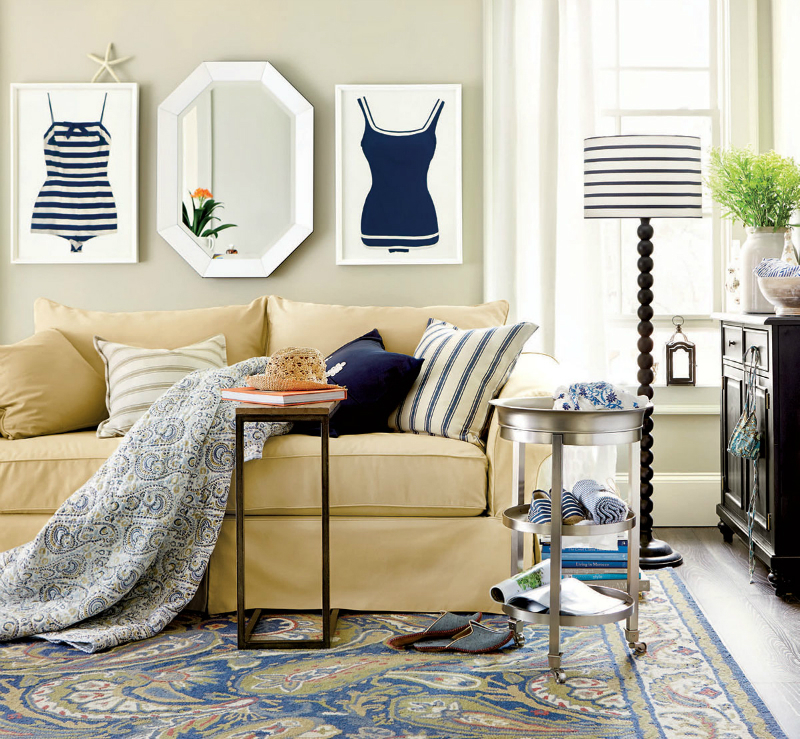 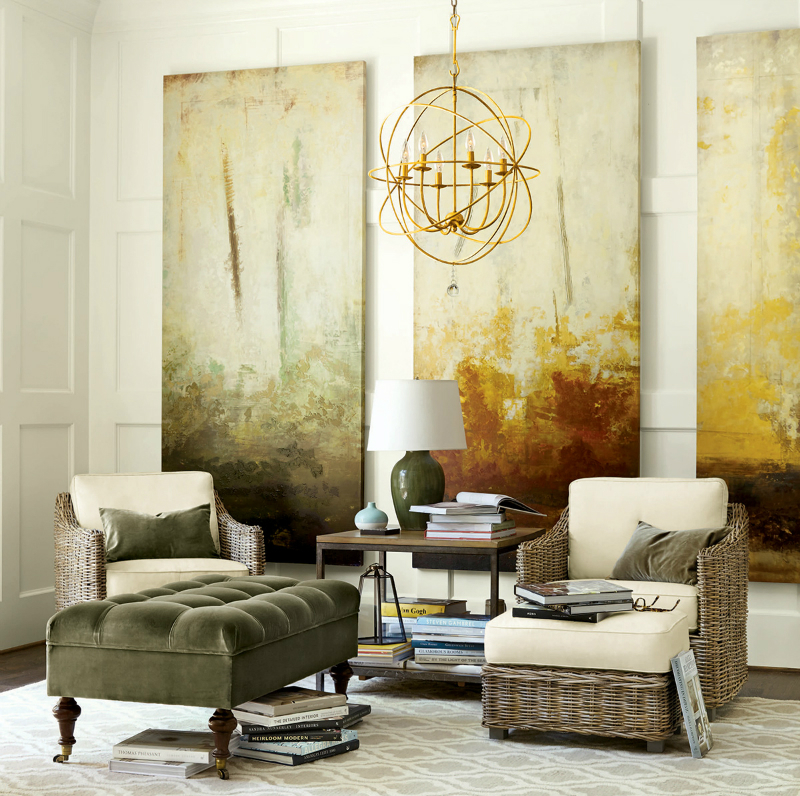 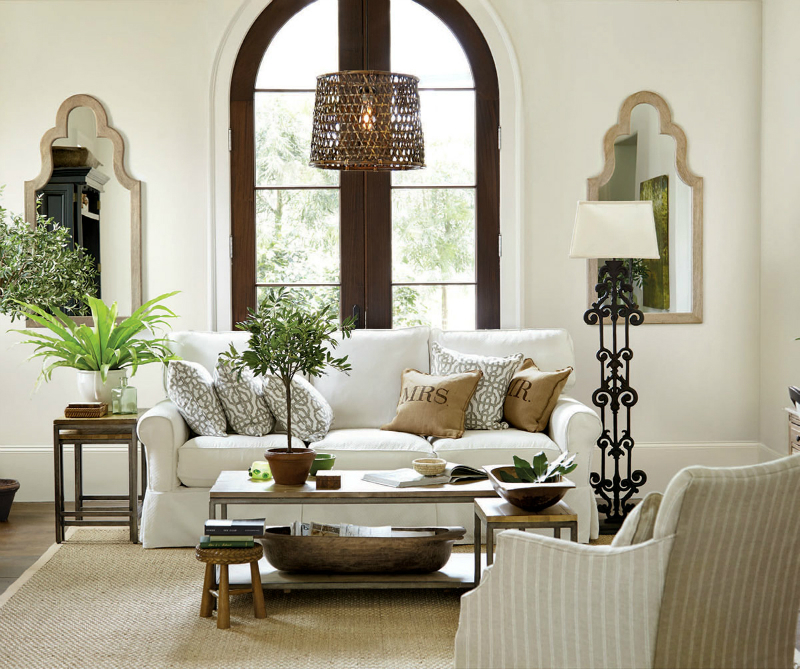 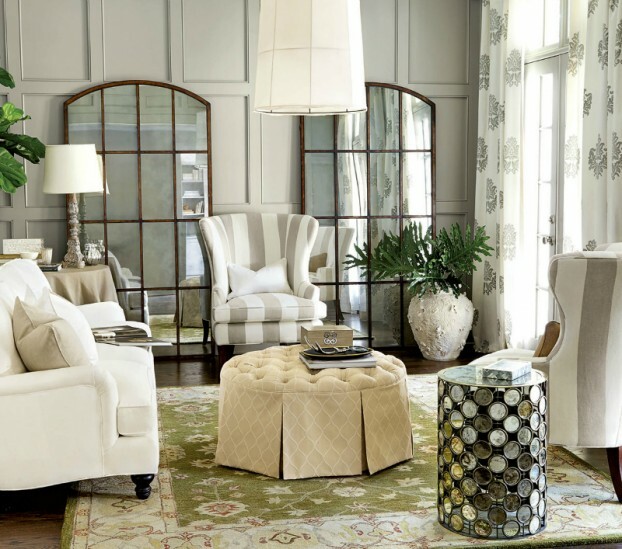 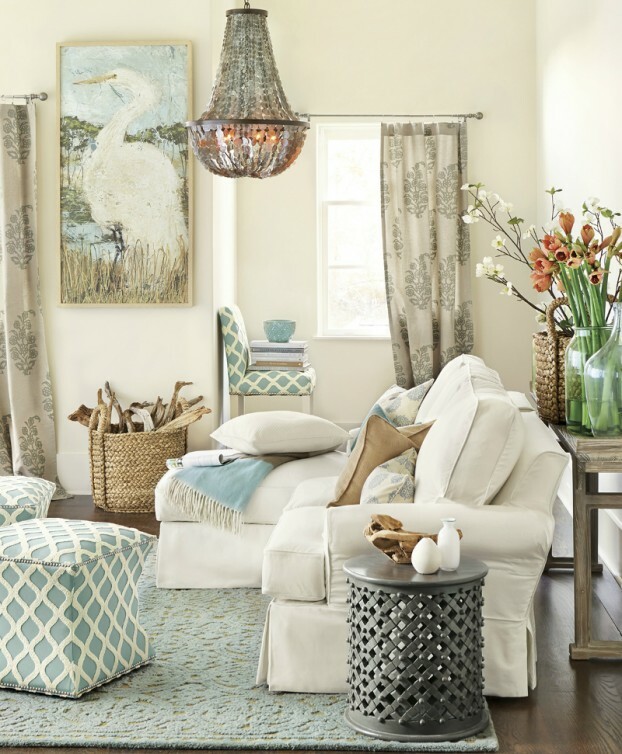 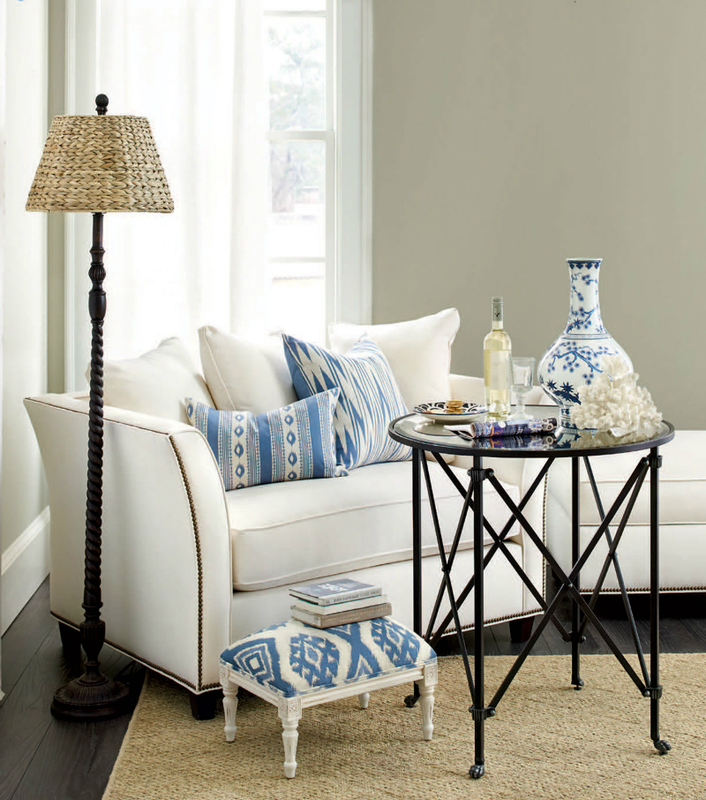 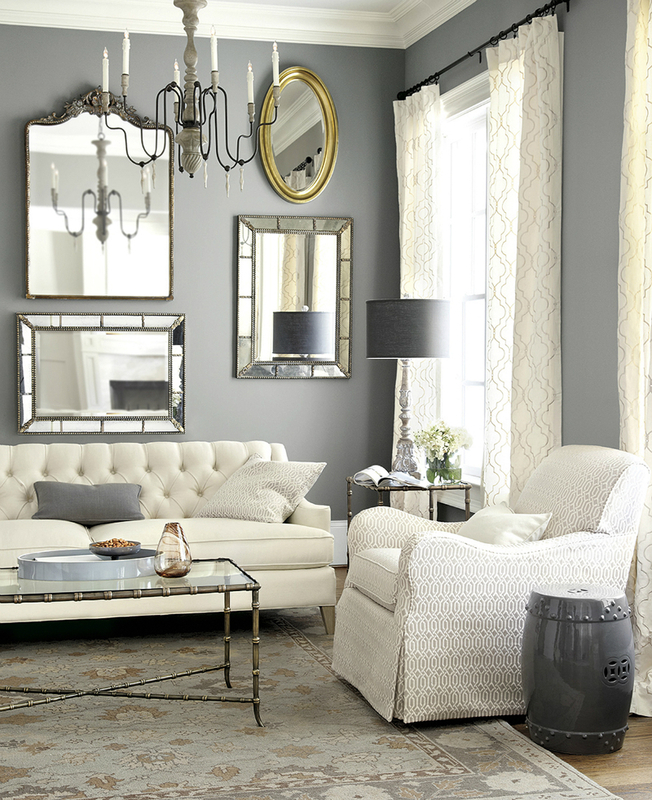 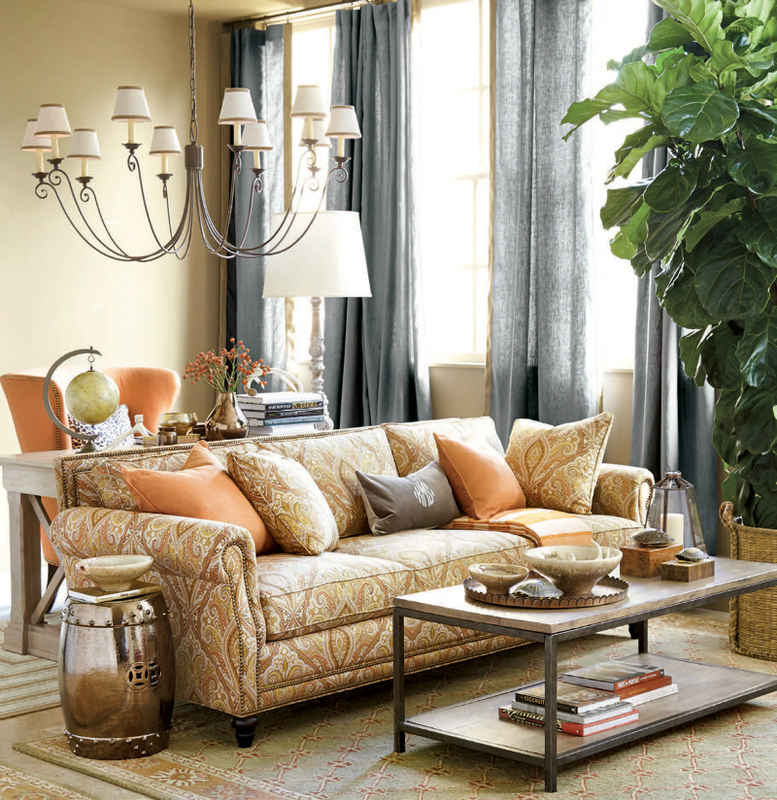 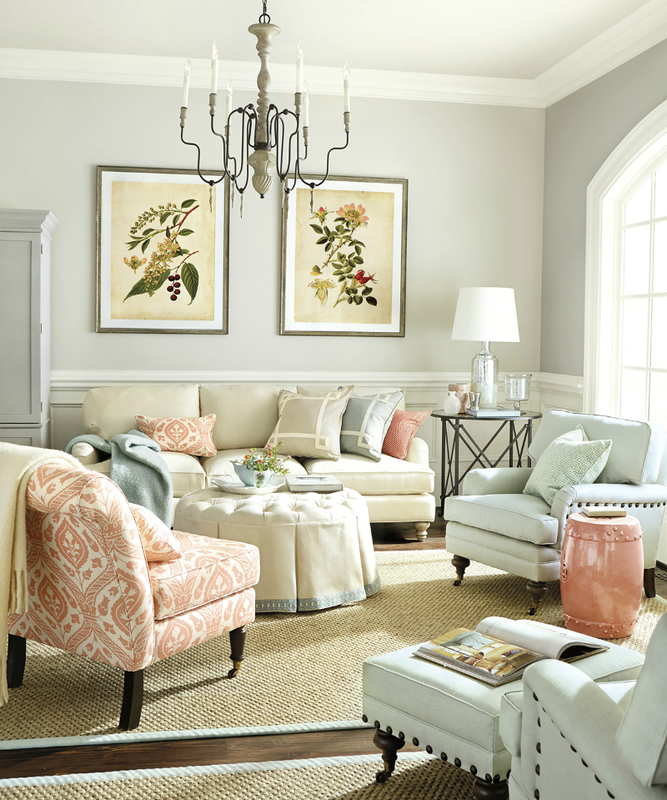 Creams and taupes are accented with spa blue in this relaxing living room.